'One Girls Exuberance on Beauty'.. 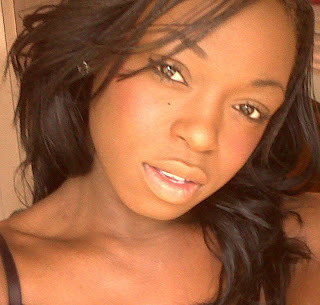 Choosing the ''RIGHT'' Foundation can be extremely difficult and daunting, I have been wearing makeup since I was 14 (I used to sneak behind my mom's back and wear it ha-ha).I am now 19 years old and I started wearing the correct foundation and the correct colour when I was 18 ( Shocking I know!! ). When I started out wearing Foundation I used Maybeline Dream Matte Mousse in the shade cocoa, My best friend introduced me to this as she used to wear Dream Matte Mousse in the shade Sun Beige. I thought finally I can wear a decent foundation which is the right shade for my skin tone ''perfect'', it was a bargain also at £4.99. This was the worst makeup Faux Pax EVER!! The foundation was thick, it looked caked on although I would only use a generous amount, the foundation looked caked on and made my face look ( What's the correct word to use ''PLASTIC'' ). I thought that the foundation just did not agree with my skin, But the same thing happened to my friend.. Anyway needless to say we moved on. I went into MAC Makeup Cosmetics with a completely blank face so a Make up artist could match me up with my correct colour, I wanted a foundation that gave me medium to full coverage and made me look flawless. If you are looking for a foundation that gives you a flawless,medium coverage and makes you look photo ready. 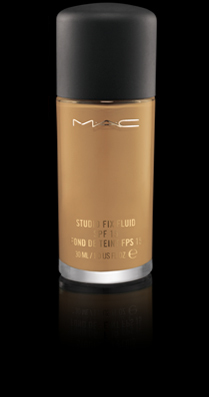 Studio Fix is the right foundation it comes in a range of shades to suit all skin tones. Here is a picture of me wearing Studio Fix Fluid accompanied with; Mac Blot Powder pressed in shade DEEP DARK £17.50 and MAC Powder Blush in shade DESERT ROSE £17.00. Hey Glamorous Lady's my names Hayleigh I am a Uk blogger and have a passion for make-up the reason being is that make-up is a girls best friend, it makes a girl look fabulous and is by far the best creation known to women. My blog is aimed at the make-up concious and I guarantee everyone will leave this blog having learnt something new.♥.